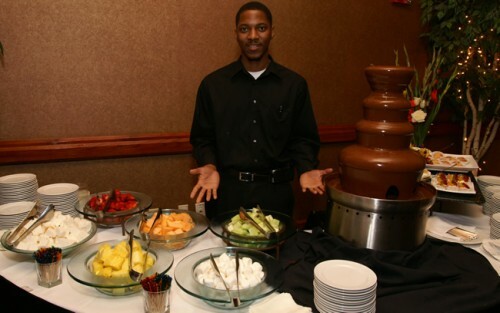 If you like chocolate, then you need a chocolate fountain at your next event. 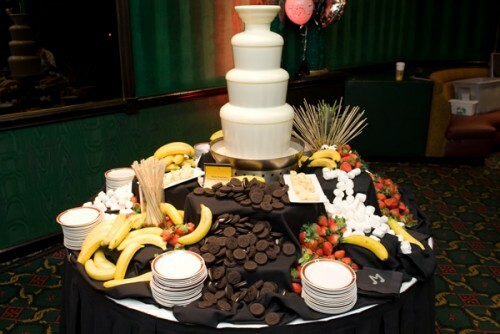 Our chocolate fountain comes in white chocolate and regular chocolate. You also get fruit and sweets to dip in the chocolate. 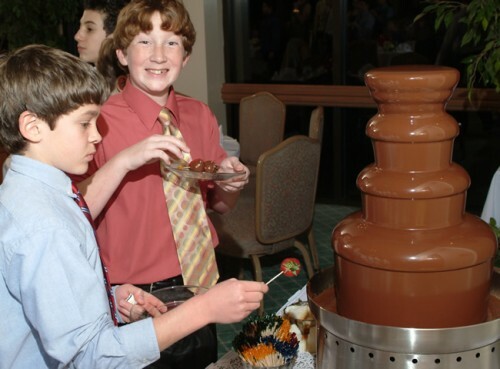 The chocolate fountain always makes a splash! And for all of you brides: are you shopping around for a wedding cake? 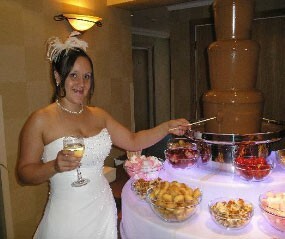 Try the Chocolate Fountain Instead! An unforgettable, new way to serve chocolate that will enhance your wedding reception. This flowing fountain of delicious chocolate is a delight for the senses! 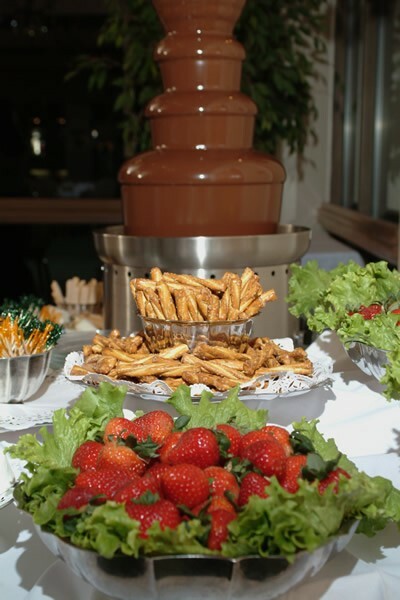 The aroma and taste of chocolate is sure to please all those with a sweet tooth, while its cascading beauty will add to the brilliance of your reception. Call for further details on having this tasty treat at your next event, or fill out our Request a Quote form to reserve yours today!